Pedestrians may be hit by vehicles. A slip, trip or fall can occur due to damaged or uneven surfaces or even weatherized surfaces. 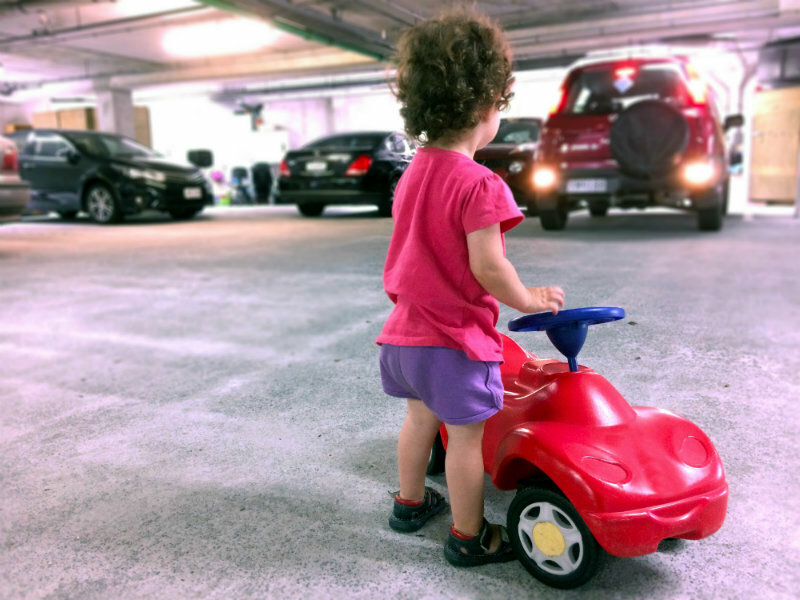 Drivers fail to see children when backing up their vehicles. What are the Causes of Parking Lot Accidents? We all expect traffic to move more slowly and that expectation gives us a false sense of security. Even though drivers may be going a lot slower in parking lots or parking garages, distracted driving or other driving mistakes can result in serious, even fatal, consequences. Distracted walking presents another safety issue as well. 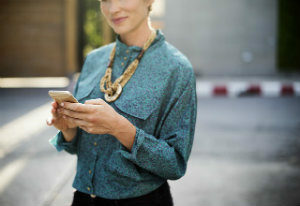 The National Safety Council reported that from 2001 to 2011 more than 11,000 pedestrians were seriously injured because they were distracted by things such as their phones. Poorly maintained parking lots (uneven pavement, potholes, cracks) can result in a slip, trip or fall. Parking lots and garages tend to be congested with both people and vehicles, making it harder for drivers to maneuver. Vehicles backing out of parking spaces have limited visibility and blind zones can be created by the cars parked beside you. Distracted driving is extremely common today; much of this is caused by cell phones, texting and emailing. Distractions also occur when drivers are more focused on finding a parking space. All distractions take a driver’s attention away from other drivers and pedestrians. Distractions are not limited to drivers; pedestrians are also distracted by the cell phone, sending emails, using social media or simply talking on the phone or to companions. Failing to obey any traffic signs posted can lead to negligent drivers speeding through the parking lot and other aggressive or reckless driving habits. Parking lots or garages may accumulate snow or debris creating dangers for drivers and walkers. A negligent driver who was not paying attention and hit another car or pedestrian. A poorly maintained parking lot may be the parking lot owner’s responsibility. Injuries suffered due to incorrectly made parking lot repairs may be the responsibility of the repair company and/or the parking lot owner. You must demonstrate that your injuries are due to someone else’s negligence. It could actually be more than one person or entity. The lawyers at Nash & Franciskato can help you determine who might be at fault. Comply with the signs posted, such as stop signs or speed limit signs. Use a rear back up system, if you have it, to alert you to any objects or people behind you. Turn on headlights, daytime and nighttime, to enable you to better see other vehicles and pedestrians. Park in areas that are well-lit. As a pedestrian, use marked crosswalks and refrain from walking distracted. Avoid parking too close to other vehicles.